In the nearly two centuries since its invention, photography has enjoyed a long and interesting history with plenty of firsts. Above is the first known photographic image of a human being, taken in 1838 by Louis Daguerre, inventor of the first successful photographic process. The exposure time required for the Daguerrotype was more than ten minutes, meaning that most moving objects don’t appear in the finished image. 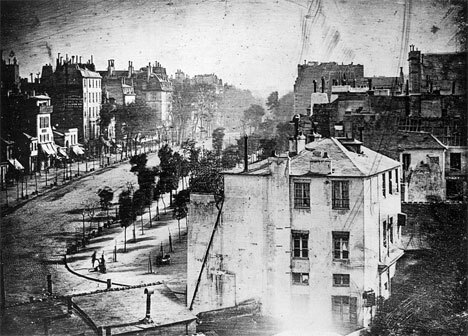 But in the lower left part of the image, a human body can be seen: a man who was having his boots shined had stood still long enough to appear in the photo. The man above is Robert Cornelius, one of the earliest pioneers in the field of photography. 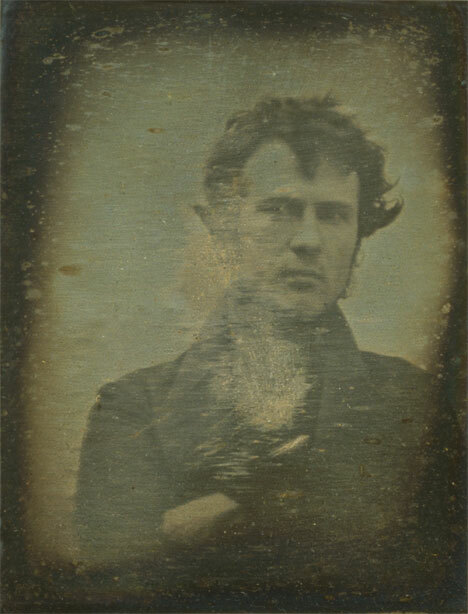 His contributions helped usher in the age of photography, and this particular photograph of him from 1839 is an important bit of history: it is thought to be the first photographic portrait of a human ever made. Color photography was possible far earlier than many people know: a three-color process was described as early as 1855. 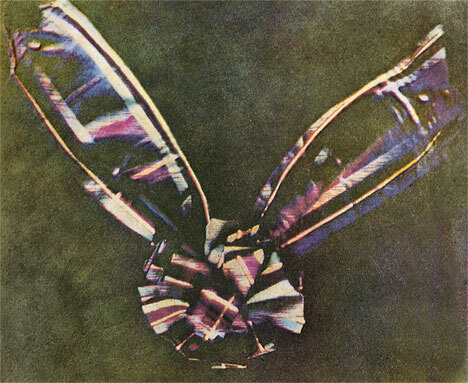 But the first color photograph, above, wasn’t taken until 1861. Contemporary photographic experts consider this first experiment to be seriously flawed, but it will always hold a special place in photographic history. X-rays have, without a doubt, improved our lives for the better. 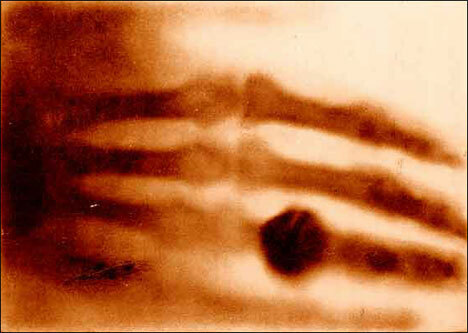 This x-ray of a hand wearing rings is the world’s first medical x-ray print, produced by Wilhelm Rontgen in 1895. The hand in the print is that of his wife: a hand immortalized by this momentous image. 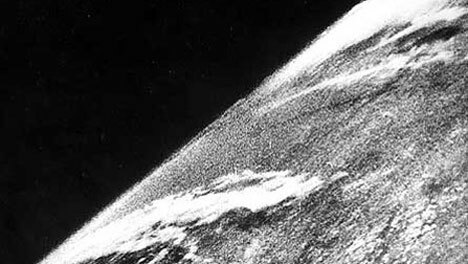 In 1946, following a devastating world war but before the space race got brutal, the universe seemed wide open. Sending a human into space had never seemed closer than on October 24th, when the first ever photograph taken of Earth from space came plummeting back to our planet. The above photo was taken by a 35mm motion picture camera mounted to a missile that was launched to 65 miles above the surface of Earth. After being shot straight up on the rocket and capturing one frame every 1.5 seconds, the camera was smashed upon falling back to Earth. But the film survived, and humans finally got to see what our world looks like from the heavens. See more in History of Tech or under Vintage & Retro. August, 2010.